Recent research suggests fascinating connections between the effects of the psychedelic drug psilocybin and personality traits related to inner experience. Personality appears to influence response to psilocybin and psilocybin can promote changes in personality, suggesting a reciprocal relationship. Further research in this area could lead to new insights into the basis of human personality and creativity. A review of studies on factors affecting response to psilocybin found that after dosage, the strongest predictor of alterations in consciousness was the personality trait of absorption (Studerus, Gamma, Kometer, & Vollenweider, 2012). Absorption is defined as a person’s tendency to have episodes of “total” attention where a person’s awareness is fully engaged in whatever has their interest. The degree to which people had “mystical” type experiences while on psilocybin was related to their individual proneness to absorption. Absorption is associated with the broader personality trait openness to experience, which relates to a person’s receptiveness to new ideas and experiences. What I found particularly interesting was that another study on psilocybin found that people who had never before taken the drug experienced an enduring increase in their level of openness to experience that was evident more than a year later (MacLean, Johnson, & Griffiths, 2011). In this study, people who experienced what the researchers described as a “complete mystical experience” developed increased openness to experience whereas those who did not have such an experience had no increase in openness. Because absorption is closely related to openness to experience, this suggests that there may be a two-way relationship between openness and mystical experiences associated with psilocybin. That is, people who are more open to their inner experience seem more likely to have a mystical experience and those who have a mystical experience tend to become more open as a result. There is evidence that individual differences in absorption are associated with particular neurotransmitter receptors that are acted upon by psychedelic drugs such as psilocybin (Ott, Reuter, Hennig, & Vaitl, 2005), which might explain why absorption-prone people are more responsive to the drug’s effects. 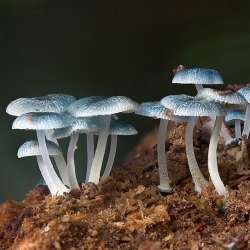 Since psilocybin can apparently cause increases in openness to experience in some people, it seems possible that the drug might permanently increase the sensitivity of these neuroreceptors resulting in associated personality change. This would need to be confirmed by research.